Rodi Garganico is an town and commune in the province of Foggia, Apulia, south-eastern Italy. Located on a promontory east to the Lago di Varano, it is part of the Gargano National Park and of the Mountain Community of Gargano.Rodi is center for the production of citrus fruits such us Arance del Gargano (Gargano Oranges) and Lemon "Femminiello" of Gargano, both DOP products cultivated since the Middle Ages.It is a seaside resort with several long beaches located both north and south to the town. 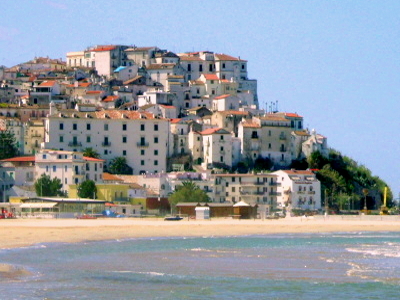 Here's the our members favorite photos of "Towns & Villages in Apulia". Upload your photo of Rodi Garganico!